Could this be the first road-going racer that actually makes sense? On the face of it, building a road-legal racing car is a stupid idea. Racers might be fast, but their pursuit of speed comes above all other considerations, so they’re uncomfortable, noisy and desperately lacking in equipment. They don’t bother with heavy navigation systems, cumbersome air conditioning or extravagant electric seats - they’d weigh it down too much. Out in the real world, the people that buy cars (you and I) quite like our speed machines to come with all these goodies. We pay for the ultimate road car; connected to our iPhones, guided by satellites and made comfortable by a herd of dead cows. And this is never truer than for those of us who buy the most quintessentially British sports car of all: an Aston Martin. 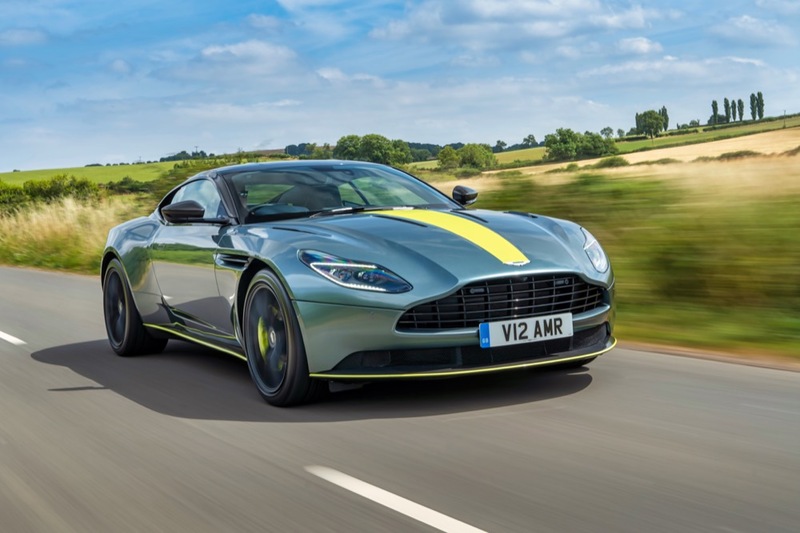 Despite this, though, Aston Martin has called on its in-house racing team (the imaginatively named Aston Martin Racing, commonly known as AMR) to help develop the latest version of its flagship DB11 coupe. 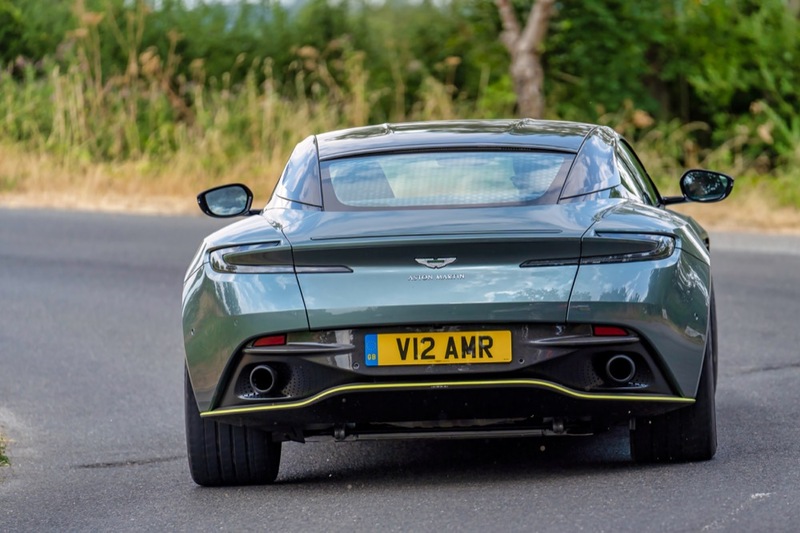 But the British brand claims that we shouldn’t worry, because the result of that treacherous liaison - the £175,000 DB11 AMR - is still an out-and-out grand tourer. 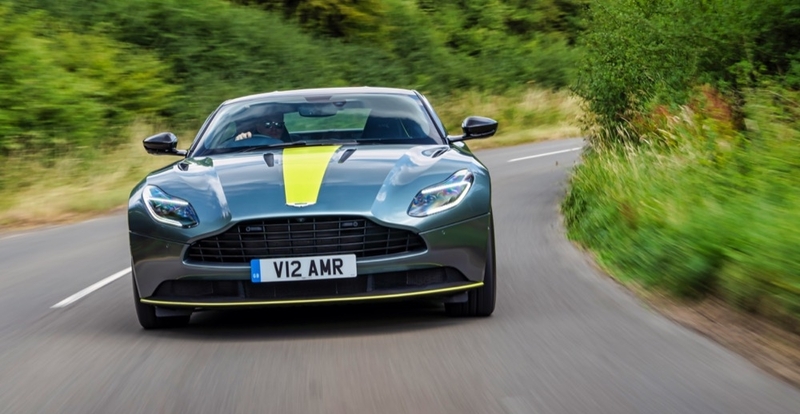 Even Aston admits, though, that this is a GT car with sporting intent. Just one look at the lime-green stripe and carbon-fibre roof suggests that the firm had rather more exciting than monotonous motorway miles in mind when they began development. The marketing guff points to much the same conclusion. This car is laden with track-bred engineering, including lightweight wheels, enormous brakes and clever, race-derived aerodynamics. Team that with a twin-turbocharged V12 engine that produces 630hp and you’ve got a luxury coupe that's capable of 0-60mph in 3.5 seconds. Top speed? That'll be 208mph. If we're honest, though, those are just numbers. They're just squiggles on a page - squiggles that simply can't do justice to the savagery of the acceleration. Just a twitch of your right foot snaps the back of your head against the embroidered head restraints, forces your stomach to collide with your spine and instantaneously shrinks anything in your rear-view mirror. And this is before you’ve switched from standard GT mode to the fire-breathing Sport+ mode. It’s amazing how a stabbing a couple of unassuming buttons can transform a car from breathtakingly rapid to downright lethal. The truth is that the tyres can barely cope with the power, and dialling the electronic driver aids back is a little like removing the muzzle from an angry wolf. 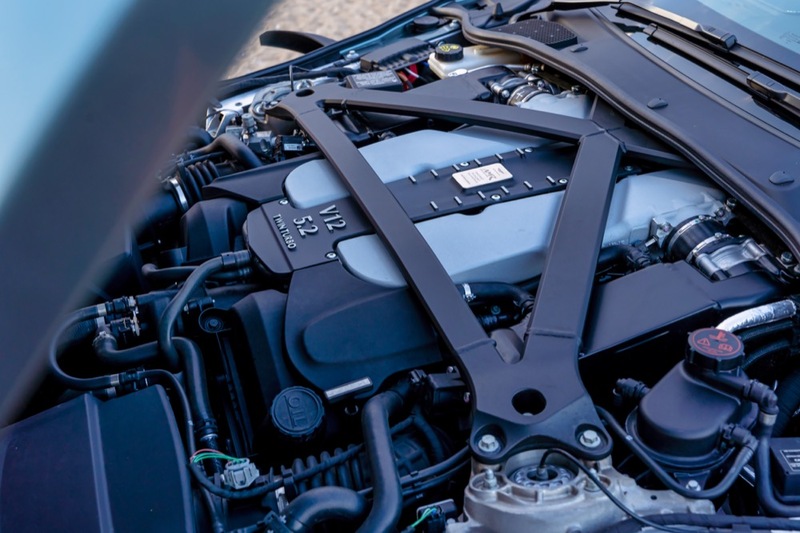 Suddenly, the car feels firmer, more highly strung, and the engine note becomes more menacing. It’s almost as though the car is prowling around you, snarling at you, daring you to take it on. And when you do, all hell breaks loose. The rear tyres instantly lose traction, causing the car’s hips to jerk out of line, but it keeps accelerating, exceeding the speed limit before you’ve had the chance to realise what’s happening. The noise is immense; a cacophony of exploding petrol and the snappy gear changes are supplemented with what sounds like amplified gunfire as unburned fuel explodes in the howitzer-sized exhausts. If it sounds visceral, violent, and just a little bit frightening, that’s because it is. But it’s also laugh-out-loud exciting, with each pull of the paddle-shift gearbox bringing an incredulous smile followed by a terrified glance at the digital speedometer. And yes, I said digital speedometer, because while the DB11 AMR may have strong links to the racing team, it isn't a race car for the road. It's a GT car with a little extra bite, but still a GT car. The cabin is filled with leather upholstery and big infotainment screens. 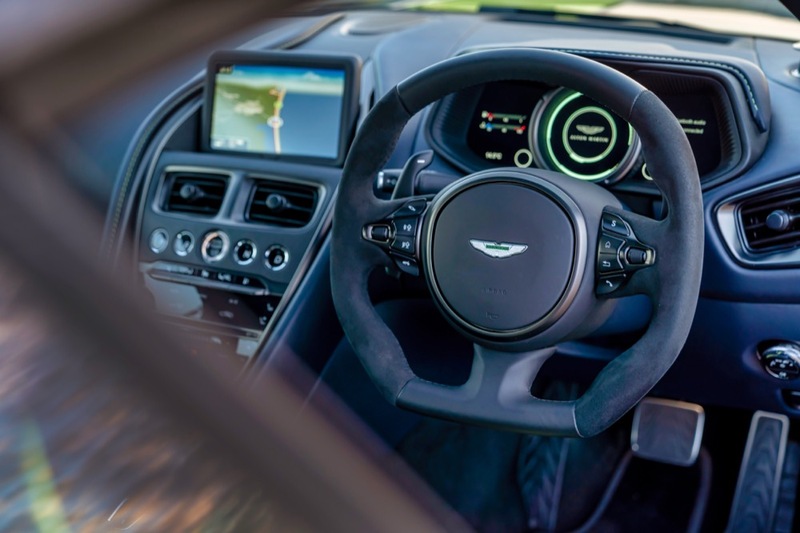 There are solid-feeling touch-sensitive buttons, powerful air conditioning vents and even a posh sound system. 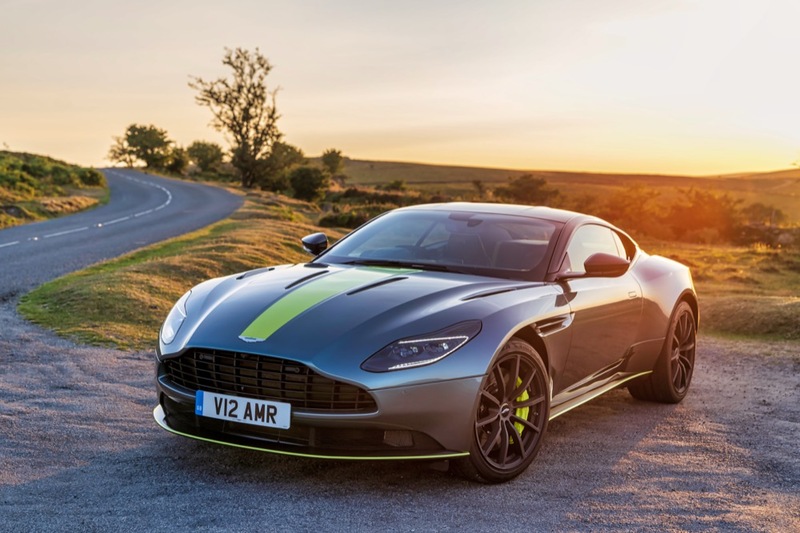 Yes, there’s a lime-green stripe down the seats, and there are huge bolsters holding you into them, but it’s still an Aston Martin - it’s still a grand tourer. That comes across best when you turn all the driving modes to their softest setting. That way, the car is fast but manageable, inherently stiff but still comfortable. The steering is perfect for flowing country roads, and though the car will always feel big and heavy (it weighs the best part of two tonnes) it seems to merge perfectly into the English countryside. So if you forget the garish stripe (which is an optional extra, incidentally) and the racing connotations, you're getting one of the most beautiful grand tourers on the planet, but you're also getting a stunning, scintillating, sweat-making supercar. Better still, it's very much of the people. Everywhere it goes it raises thumbs and smiles in equal measure. Nobody calls you names or makes rude gestures. You can leave it in a shopping centre car park and not worry about who will key it. In short, then, it's all the Aston Martin you could ever ask for. Aston Martin Wilmslow is set in the heart of Cheshire, in a picturesque location in Wilmslow. The area lies between affluent Alderley Edge and Handforth. The location is no stranger to the most esteemed of vehicles, and Aston Martin Wilmslow is a proud addition to the community, offering the highest quality in both Aston Martin vehicles and customer service. It is one of the most sought after places to live in the UK after Central London. The town has boutique shops, cafes and restaurants and high marque car showrooms which cater for those associated with the Cheshire Set lifestyle.